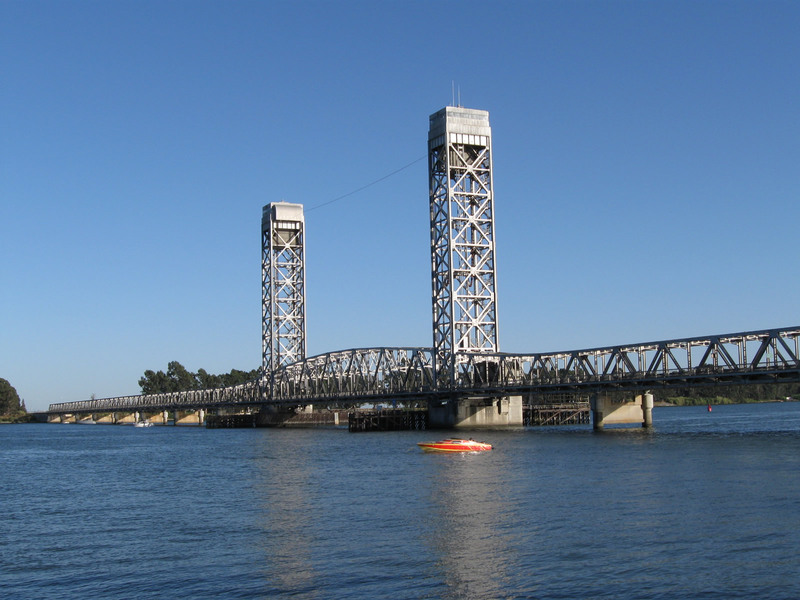 The 2,890-foot long Helen Madere Bridge spans the Sacramento River between Front Street in Rio Vista and SR 160. 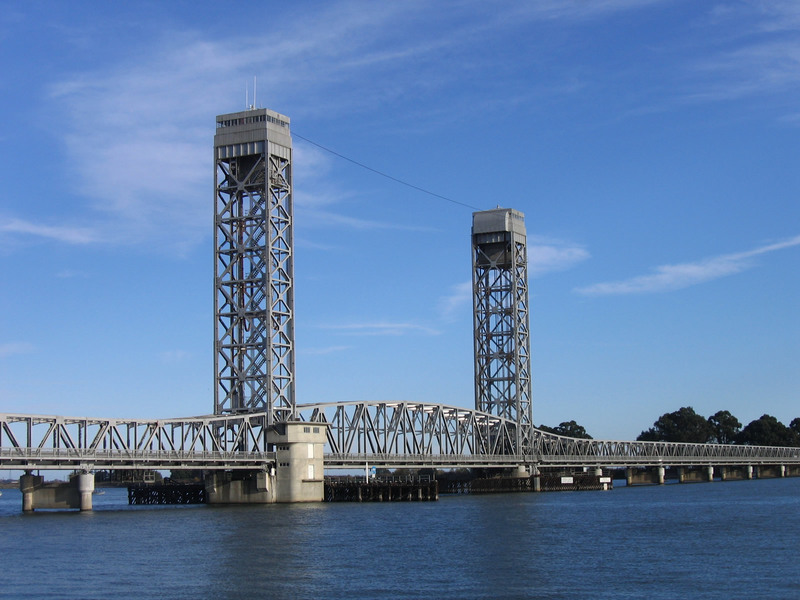 The 1944 bridge is well traveled, with lengthy delays resulting from bridge lift operations. Photos taken 11/23/06 and 09/05/10. Starting at SR 116 in Sebastopol, SR 12 is a major east-west route across Northern California. 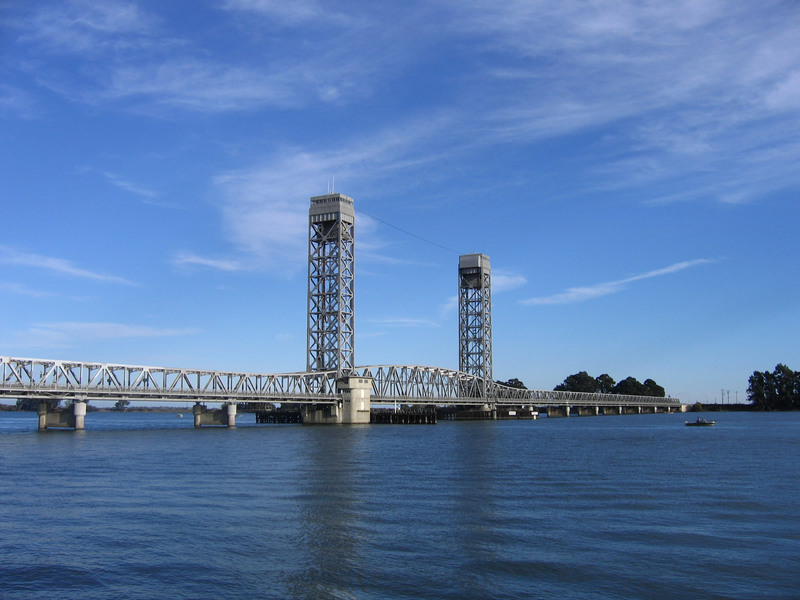 The state route travels east via Santa Rosa, Sonoma Valley (famous for its wineries like its more well-known cousin, Napa Valley), Napa, Fairfield / Suisun City, Rio Vista and Lodi. The highway ends when it meets SR 49 in the Gold Country at the town of San Andreas. California 12 freeway entrance shield assembly at the westbound on-ramp from Dutton Avenue in Santa Rosa. Photo taken 07/06/13. A south side service road connects North Front Street with SR 12 at the west end of the Helen Madere Bridge in Rio Vista. Front Street connects with SR 84 north to Ryer Island and West Sacramento below the Sacramento River span. Photo taken 11/23/06. SR 12 circumvents Downtown Lodi along side SR 99 south from Victor Road to Kettlemen Lane. Victor Road (old SR 12) extends west from the northern exchange between the two routes to Cherokee Lane (Old U.S. 99). Cherokee Lane (SR 99 Business) converges with the SR 99 freeway to the north. Photo taken 11/23/06. Route 12-99 separation signage on SR 99 southbound at Postmile 30.98 in San Joaquin County. Photo taken 06/19/01. Heading 2.4 miles east from Victor in the Central Valley, SR 12 combines with SR 88 north. Photo taken 2002.